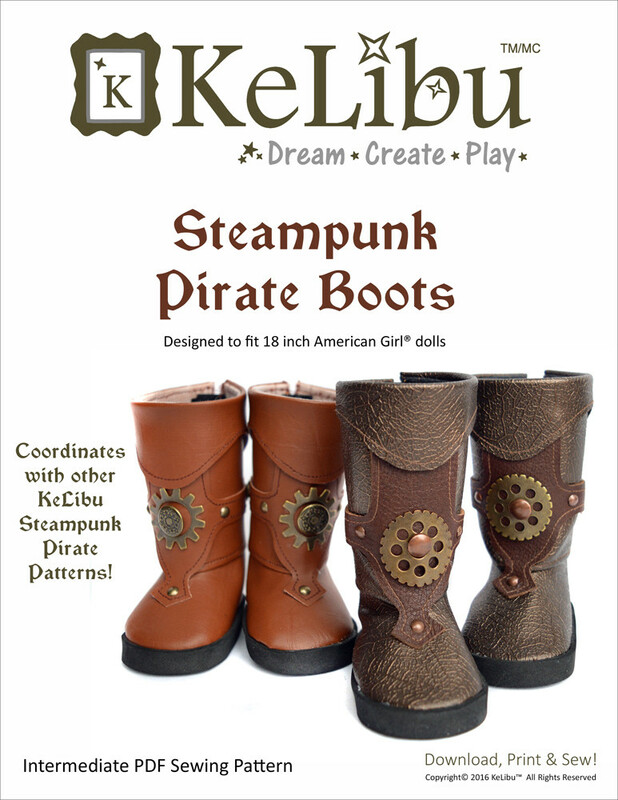 This steampunk digital pattern will let you craft pirate boots for your 18 inch doll. 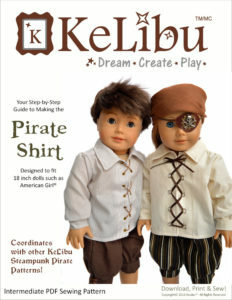 Designed to fit American Girl® and Our Generation® dolls, these boots coordinate with other KeLibu Steampunk Pirate patterns. Flamboyant adventurers, sailing the airways in their steam and wind powered ships. 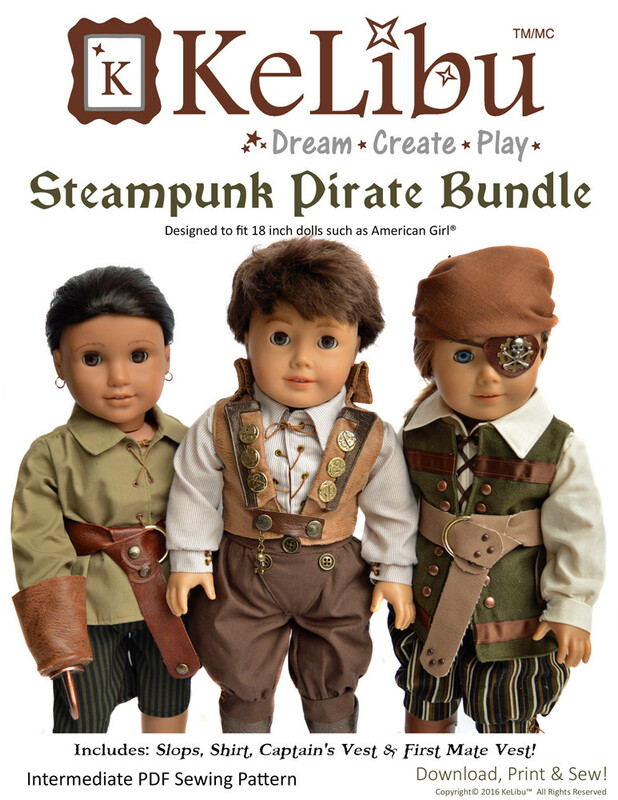 Good-hearted rogues, roving the world in search of daring adventure and fantastic riches. 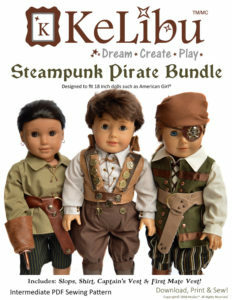 These are the Steampunk Pirates. 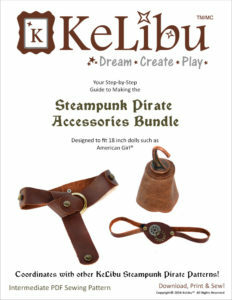 Not into Steampunk? That’s ok. 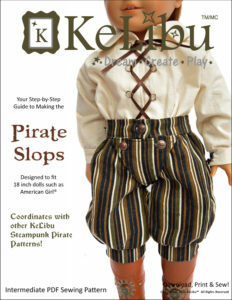 This boot pattern works equally well for traditional pirate outfits. 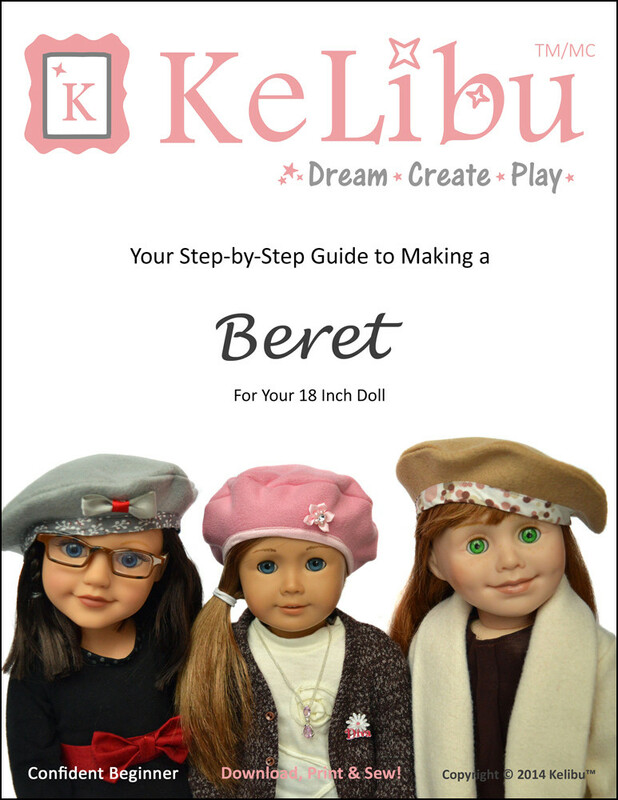 You can even change the embellishments to give it a modern twist for a whole new look! 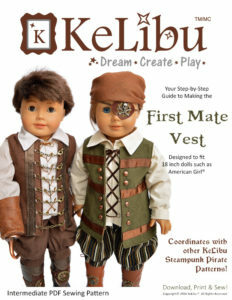 *Lightweight leather/vinyl and thin hook and loop tape that is made for doll clothing works best for this pattern. 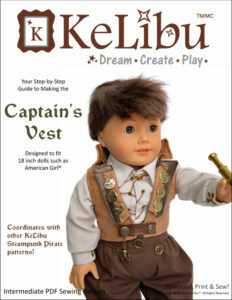 I get mine from www.zipperthatdoll.com. 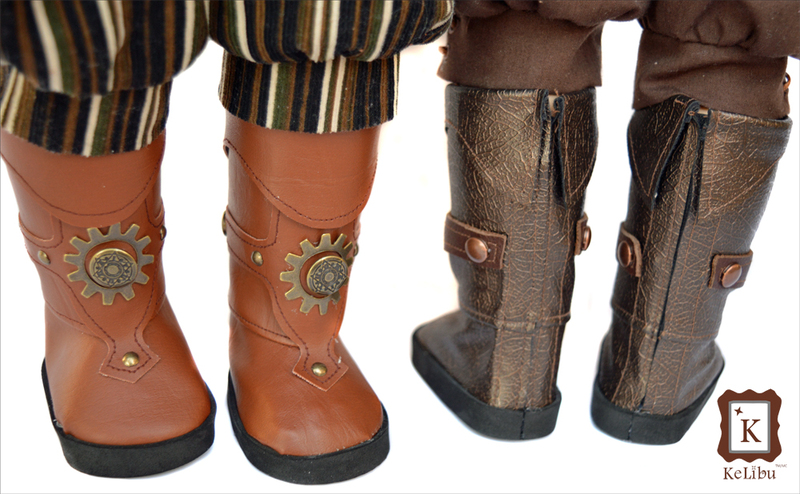 Using thicker leather/vinyl and hook and loop tape may result in a tighter boot. **A Note About Soles: Sole Style #2 in this pattern is compatible with the Craft Chameleon (formerly Punch Place Plus) die and their acrylic soles. 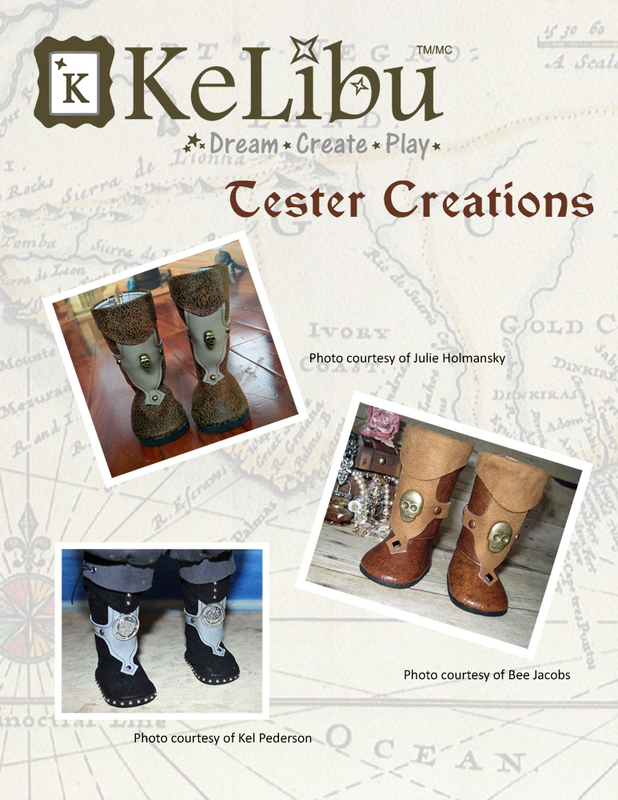 This sole shape was designed by Jamie Omahen and use was granted to KeLibu. You may also choose to cut your own sole.